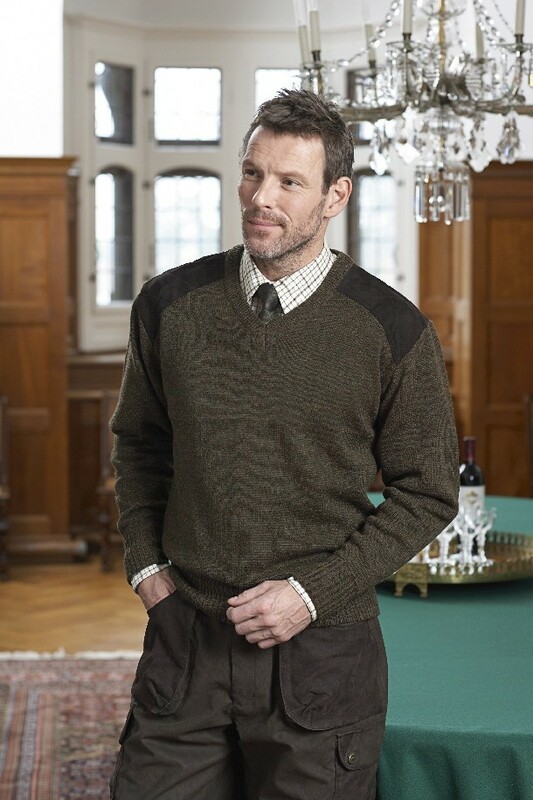 Classic knitted V neck jersey can be worn with a smart shirt and tie. Suitable for shooting and leisure wear. Real leather trim on shoulders and elbows. Made of machine washable 50% wool and 50% acrylic.